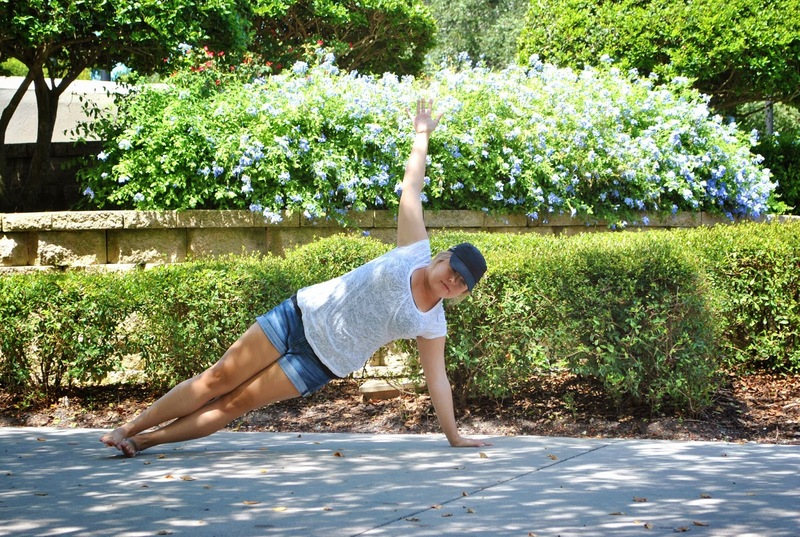 Side Plank Pose is a powerful arm balance, it strengthens your wrists, forearms, shoulders, and spine! 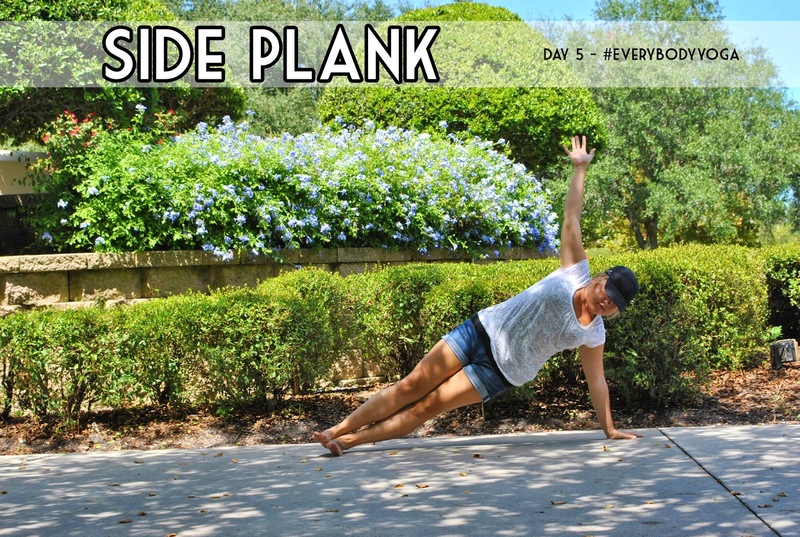 Side plank also increases flexibility in the wrists, hello future balanced handstands! This pose also tones the abdominal muscles and improves balance, concentration, and focus. This pose is super simple to get into: from a plank, lift your hips up just a bit, then shift your weight into one hand as you roll your whole body open to the side. Stack your hips, knees, and ankles vertically on top of each other. Your shoulders, hips and ankles should be in one straight line. Reach your top arm straight up, forming a line from your planted wrist through your top fingers. it's a great simple stretch that really helps me feel connected.